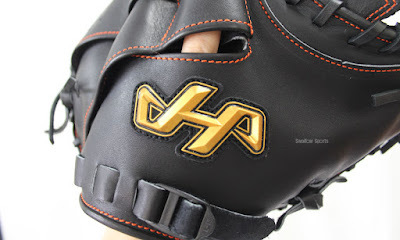 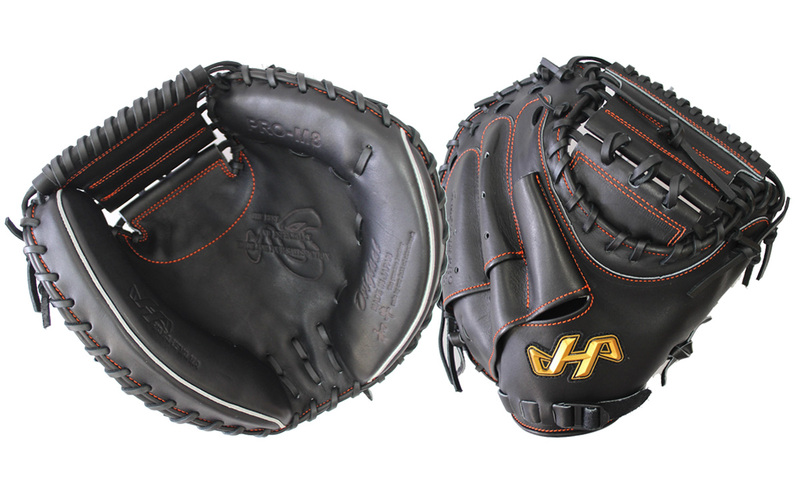 HATAKEYAMA NEW Limited Catcher mitt. 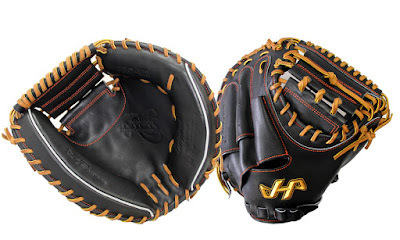 This mitt has six points of specials. 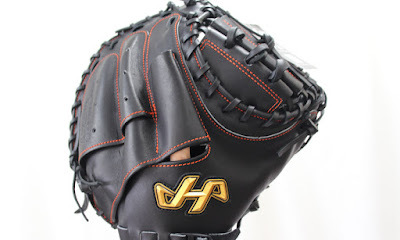 The stitch of the stylish orange!! A "心＝heart" carved seal for the custom order product! 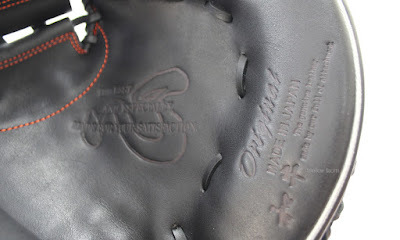 There is the tongue string version.